PLEASE TAKE A COUPLE OF MINUTES TO LISTEN TO KEITH IN THE FILM BELOW. HE WAS DOING YEARS AGO EXACTLY WHAT YOU ARE DOING NOW, I.E. - GETTING VITAL INFORMATION ON STAIRLIFTS. 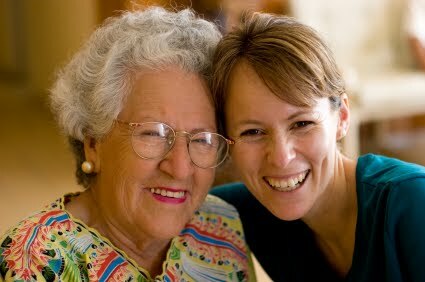 WHAT HE DISCOVERED, ENABLED HIS OWN MOTHER TO SPEND HER REMAINING YEARS SAFE ON THE STAIRS IN HER OWN HOME, WITHOUT PAYING TOO MUCH MONEY. THE EXPERIENCE LED TO THE FORMATION OF CASTLE COMFORT STAIRLIFTS LTD. YOU CAN NOW BENEFIT FROM THIS STORY. We are main agents for most of the UK manufacturers of stair lifts and we know INSIDE OUT how the industry´s sales systems work. A quick word with us, will not only save you money - but enable you to find out a few things that you need to know and have established BEFORE you even think of placing your order. No matter how ´savvy´and clued-up you are, it is probably the first and only time you have looked into getting a chairlift. Remember, when you bought your first car? Or booked your first holiday? ... you probably quickly learnt what to do (or not to do) the next time. Please allow us to give you some vital information NOW, before you go any further. When thinking of Stair lifts in York, the 'capital' of Yorkshire, you might imagine a great mansion in a tree lined avenue sporting a spiral staircase, or a cosy family terrace with the smell of baking wafting through the gardens and a stair lift to help your elderly mother reach her shabby chic bedroom with ease.Whatever your staircase and wherever you live why not give us a call on 01904 820 776 and we will guide you through the stairlifts maze. Although invented by CC Crispen, a Pennsylvanian entrepreneur, (and with a name like that almost a certain descendant of Dracula), records have proved that the first stair lift ever invented was indeed custom made for King Henry VIII himself. 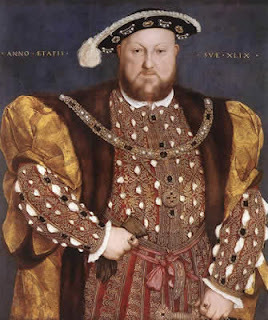 At a whopping thirty stone, King Henry VIII used manpower and a pulley system to raise his huge frame to the upper floors, probably throwing chicken legs over his shoulder as he travelled, his stair lift was portable, and as in 1530 he was a regular visitor to Yorkshire - in fact York Abbey, Clementhorpe Nunnery, St Leonards Hospital and the Holy trinity priory, their stairs would no doubt have seen this wacky but practical invention as he glided up the stairs declaring the benefits of the dissolution of the monasteries so he could marry the gorgeous Anne Boleyn. Yet, his York visits resulted in a bit of a shambles for King Henry, as the cobbles no doubt felt the weight of his cod piece as he ran when the infamous Pilgrimage of Grace rebellious march was formed to fight against his principles. King Henry and his stair lift made a quick exit, despite his mother, Elizabeth of York holding strong ties to the city up until her death. We picture the crowned bearded king shuffling quickly over Lendal Bridge, passing the site of the National Rail Museum and making his way through Whipmawhopmagate as he finally rests in Clifford’s tower, hoping the residents won’t throw him to the pit in York Dungeon, with only his stair lift for company. However, he’s not the only famous person strongly connected to York, steeped in history with a now modern twist, York has seen some of the most inspirational legends of history, including Guy Fawkes, the Bronte’s and the witch Mary Bateman! More recently we’ve all been proud of Mark Addy from his role in the Full Monty, to the Flintstones and now Trollied, his career is definitely one to watch. Dame Judy Dench although growing old quite gracefully, might be in need of a stylish stair lift in a few years for her great house in the centre of York, her birthplace, and we know just where she can find one competitively priced, locally! Give us a call on 01904 820 776 and we will get you one too! And some fabulous stop press news - the Easy Payment (interest-free over 12 months) scheme recently launched in Scotland is no being offered to thrifty Yorkshire folk! 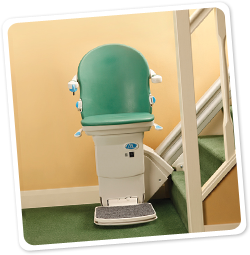 Have a peep at the details HERE It means that you can get a stairlift faster than you think. CALL NOW! York has an abundance of old buildings which technically could need a stairlift under the DDA regultions, but the wind and curl so much - and are so narrow - that even the modern slimline stairlifs could not suffice. Yes - I have been to York a few times and not seen the famous faces, but have seen some magnificent buildings, the Minster's 275 steps to the top of the tower would be a challenge for any stairlift manufacturer ! Do you have experience of installing a stairlift in a listed property as our house has a stone spiral staircase that is listed as Grade 2? I've alsways thought stairlfits were invented by Stannah, and now I find it was an American who first produced them. Still the idea was British if the Henry the Eighth story is to be believed.